Despite the uncertainty surrounding healthcare reform and the future of the Affordable Care Act, an increased focus on improving population health and affordability is here to stay. By making smart decisions about the right place to deliver the right care, hospitals and patients alike can benefit from reduced costs and increased convenience while also establishing new revenue sources for hospital systems. As new revenue sources and efficiencies are explored, real estate has an increasingly influential role in achieving financial stability and sustained success. 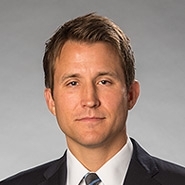 Jason Wood, partner at Quarles & Brady, says, micro-hospitals are another emerging trend in healthcare that can offer emergency care, diagnostic imaging and lab services, which just recently started gaining traction in Arizona.